Here are this weeks recycled wool and cashmere sweater projects. 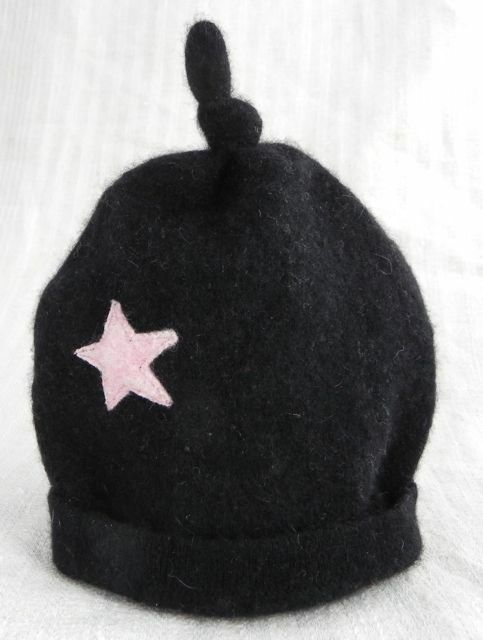 These two black cashmere hats are 3-6 month sized, each with a small appliqued lambswool star, pink and blue respectively. This ManiMina Elfin Earflap Hat is hot pink wool/angora blend on the outside and light pink cashmere on the inside. 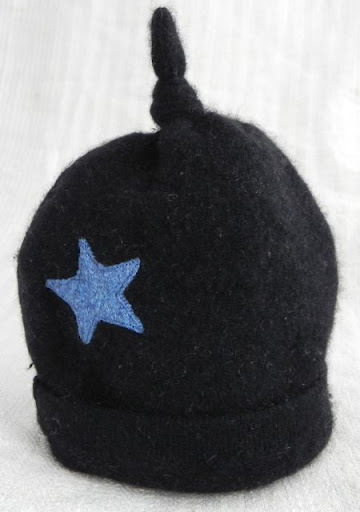 The little ball on the tip of the hat is also the same cashmere as the lining. It is a 6-12 month size. The ties are braided natural cotton. Perfect for a boy or girl, this gender neutral 3-12 month top knot hat is so soft and stretchy! This red gnome hat is a 9-12 month size and made from soft felted lambswool. A little more pink this week and another pointy pixie hat, light pink sized for a 0-3 month old. This ManiMina is also a 6-12 month size earflap hat. This green fabric is felted merino wool. 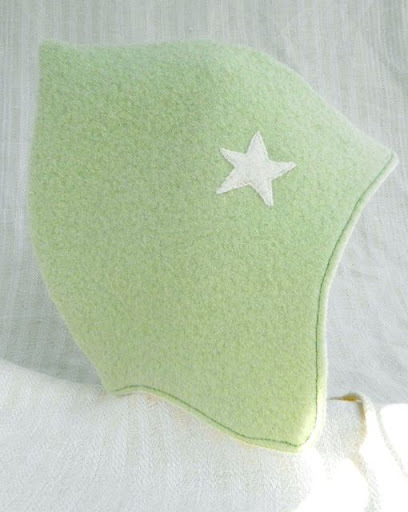 It is lined in white cashmere and has a little white cashmere star applique. It also has natural braided cotton ties. One more pointy pixie hat rounded out the week. 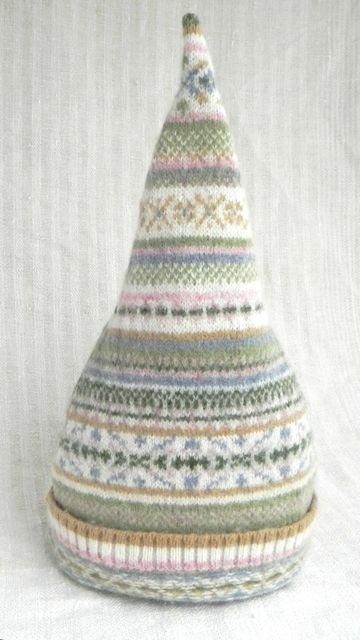 This one was made from a beautiful fair isle sweater, with pastel pink, blue, green, and tan stripes. It is a wool blend of 79% lambswool and 21% nylon and is so soft! So that’s what I’ve finished this week. :) I hope everyone is enjoying their last days of January. This entry was posted in cashmere, hand sewing, hats, Reclaimed, refashion, up-cycle, upcycle, wool. Bookmark the permalink.